Experience the epitome of classic New England al fresco dining on our rolling lawn, a timeless Newport icon. 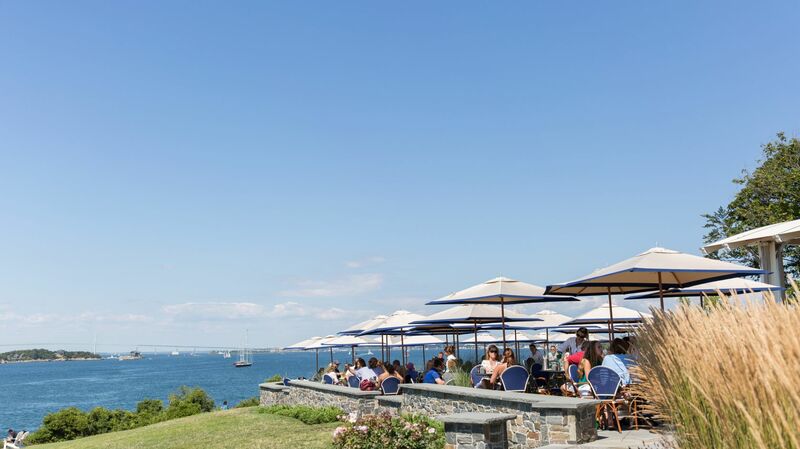 For decades, locals and visitors alike have savored our take on regional cuisine, fresh seafood, and cocktails paired with outstanding water views at our outdoor Newport, RI restaurant. The Lawn serves lunch and dinner from Memorial Day through Columbus Day, weather permitting. Our Sunday brunch menu features Chef Lou’s weekly inspirations accompanied by live jazz music. There is no better spot in town to enjoy sailing regattas, ocean breezes and a signature Newport sunset. Reservations are available for lunch and brunch tables; while al fresco dinner, Terrace Bar, and Adirondack Chairs are first-come first-served.